The hip joint is a ball and socket joint made up of the spherical structure (head of femur) and the socket (called acetabulum). The bones are lined by a smooth layer called articular cartilage to allow smooth,pain free and low-friction movement of the bearing surfaces. The hip joint has both stability and mobility. From inside to outside, the hip joint is enveloped by layers of tissues called synovium, capsule, ligaments, muscles, fat and skin. The synovium produces synovial fluid for lubrication. 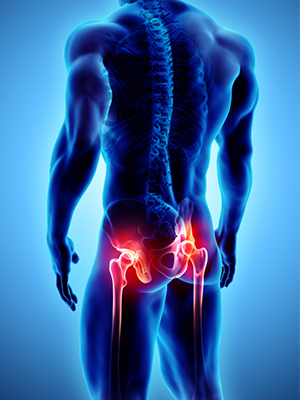 The capsule and ligaments are the primary hip stabilisers giving stability and allowing limited range of movement. They prevent the joint from getting dislocated. The muscles are secondary stabilisers and also aid in movement. 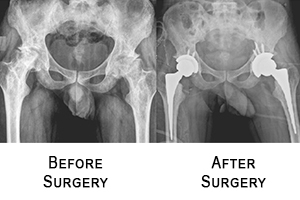 This is the final end stage surgery for hip arthritis when all conservative treatment measures have failed. 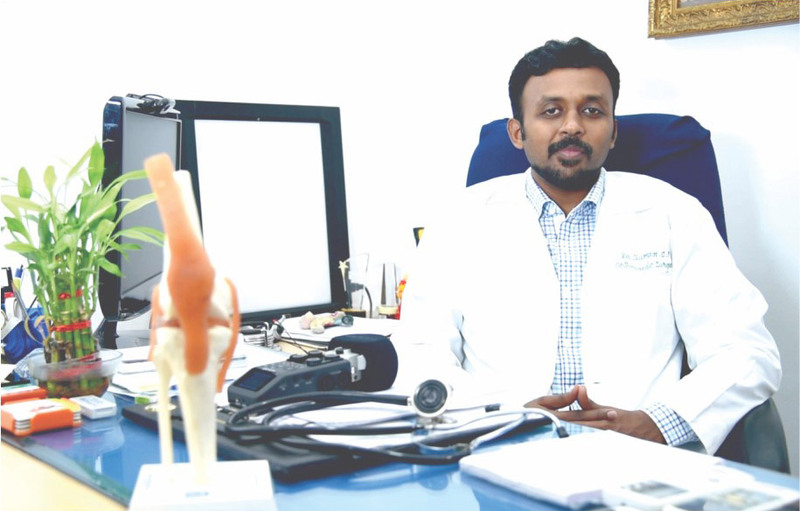 TOTAL HIP REPLACEMENT is a surgical procedure where the worn out surfaces of the hip joints are cut using appropriate jigs and metallic durable implants are either directly implanted on the bone or fixed to the bone surfaces using a substance called bone cement. Intervening these two metals is an intervening polyethylene/ceramic insert. 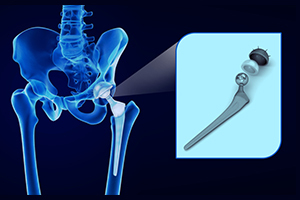 The stability, range of movement and alignment of the joint are checked and ensured throughout the procedure.. .
What are some common conditions affecting the hip joint? Adults Trauma (fracture), idiopathic avascular necrosis (reduced blood supply), Increased stress, obesity, infection, old age, rheumatoid arthritis etc..